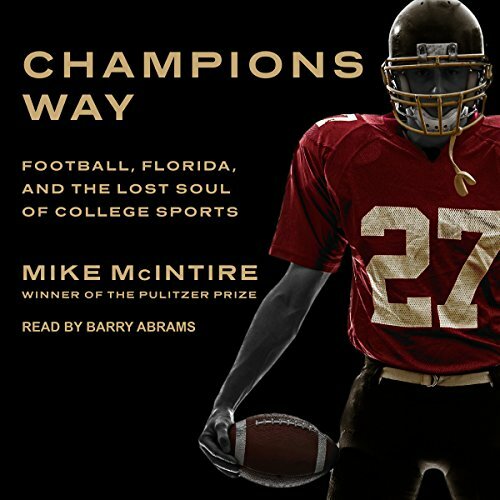 Champions Way is a searing exposé of how the multibillion-dollar college sports empire fails universities, students, and athletes. College sports have never been bigger. Once a roughneck intercollegiate pastime, football now commands millions of fans and generates massive revenues. New York Times investigative reporter Mike McIntire chronicles the rise in the popularity and power of college athletics, revealing deeply troubling relationships between college sports programs, the universities that host them, booster organizations, local police departments, and the courts. Using the Florida State Seminoles, one of the most successful teams in NCAA history, as an example, McIntire details a system that exploits athletes for profit, enables players to violate academic standards, and, in some cases, shields them from criminal prosecution. At the heart of Champions Way is the wrenching story of a whistle-blower, Christie Suggs. This shocking exposé reveals the extent of a corrupt culture at the center of American higher education and the toll it takes on the players and those who dare to challenge the system.